[i]t is difficult to talk about contemporary sound culture or cultures in general, their traditions and heritage while living in the age of post-globalization. Every culture has in one way or the other adopted different aspects of other cultures, and by slightly transforming them, made them part of their own heritage. Japan is one of the best examples for such a phenomenon, since this country already has ages worth of history of adopting cultural elements from other Asian countries and the west, transforming foreign ideas and making them part of their own unique heritage. 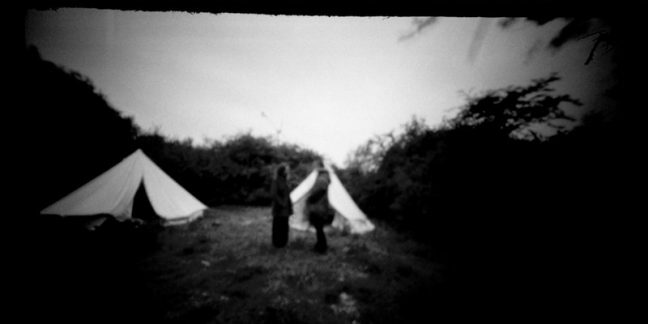 The 5th edition of soundcamp will be taking place on the 5-6 May at Stave Hill Ecological Park in London. DMSA Course Leader Maria Papadomanolaki (co-curator of soundcamp and member of the SoundCamp collective) will be bringing a group of L4 students to the event. The students will have the opportunity to develop and present a project as part of the event in collaboration with Tom Fox of Vulpestruments/Hackoustic. The fifth edition of Soundcamp will take place on the 5-6 May to coincide with the International Dawn Chorus Day. Site Specific interventions and installations by Alexandra Spence and Brigitte Hart, Tom Fox with students from University of Brighton’s Digital Music and Sound Arts course. Analogue photography: pinholes and cyanotypes with Ky Lewis. Food from Leon Lewis. Beer from Clarkshaws. Cake from The Dancing Baker. Coffee from the Lazy Coffee Van. Visiting is free, but please consider making a donation. Camping is free for children. Adults need to book a camping ticket each. Sign up for workshops on site. Alumni Guoda Dirzyte (LT) and Maja Mihalik (H) will be performing as part of Graduate Monthly series of events titled ‘Other Voices’. Más Hangok is a collaborative experimental music project between Guoda Dirzyte (LT) and Maja Mihalik (H). 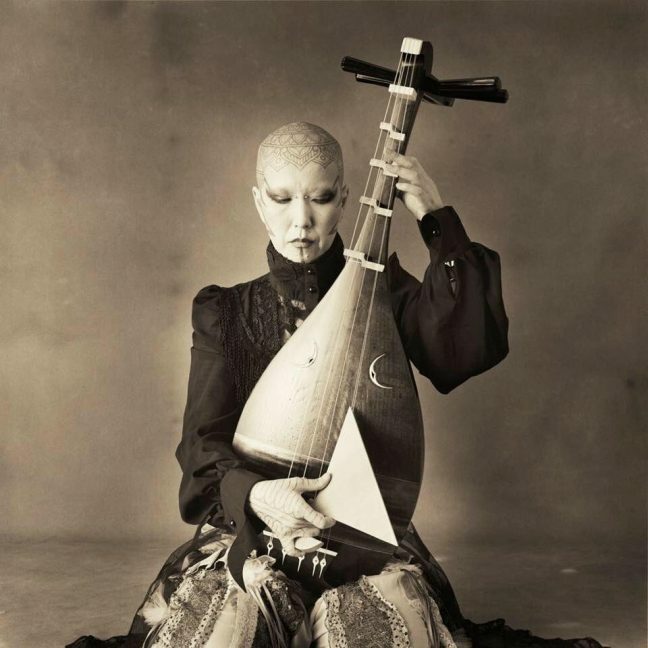 Guoda plays a Japanese heritage inspired handmade instrument that is a crossover between the traditional Japanese lute also known as the shamisen and the western cello. Her instrumental experimentations are accompanied by Maja’s eerie vocals that are inspired by Hungarian folk traditions. This improvised collaboration creates a cultural dialogue between the elements of Japanese heritage, traditional Hungarian folk music, and experimental percussive and plucked music techniques that provides unique sonic experience, subverting the hierarchy of traditional western 12-tonal musical system. Guoda Dirzyte is a Lithuanian-born experimental musical instruments designer, composer and sound artist. Guoda’s work is mainly orientated towards exploring world music and sound culture. It focuses on the approach to life and communication rather than cultural industry, and critically examines the Eurocentric approach towards musical culture traditions. Maja Mihalik’s work is lead by curiosity and playfulness with an awareness towards the ethical implications of creation as a process as well as an outcome. She deconstructs issues of cultural heritage, history, time, biodiversity, technology versus nature and synesthesia as well as waste, recycling and object permanence. Scarcely using traditional instruments, Maja opts for the more experimental, fabricated sounds of field recordings and non-synchronous Foley. Jade Gunner is the first of our first year students to contribute her thoughts to our features series. 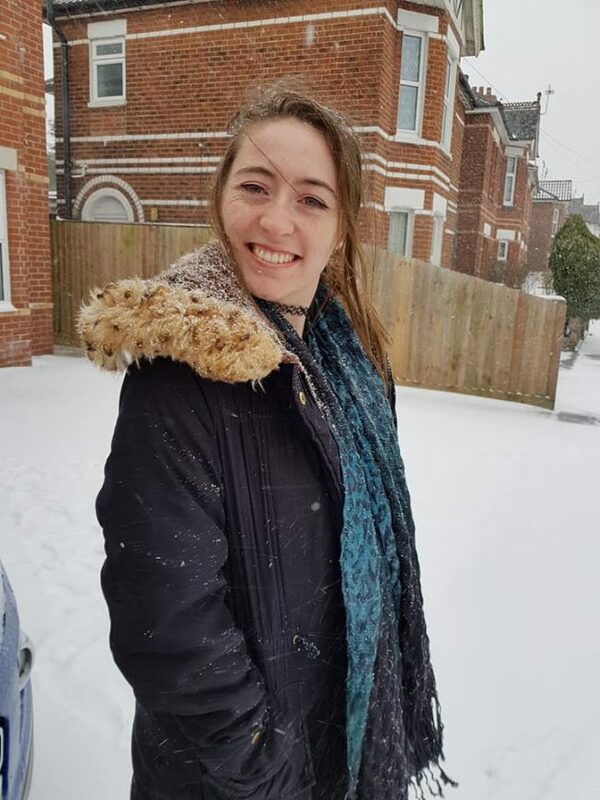 Jade’s entusiasm for experimentation has allowed her to create some fascinating work as part of the course but also outside it as it is clearly documented on her soundcloud page. DMSA: Three important words that represent you as a creative person? JG: Unique, Unafraid and Experimental! JG: I have always been interested in Sound and music throughout my life, I’ve always been fascinated by how it’s made. When i was 14 I started to learn guitar, then later on moved onto the ukulele. In college I studied creative Media Production, and started working with digital music/sound design through that. The project I did that made me realise I wanted to do this course was removing all the Sound from a game clip and re creating all the atmospheric music, Sound design, ADR and Foley. I feel in love with it from there. DMSA: What made you choose the course and in what ways has the course supported or helped you so far to develop creatively? JG: I chose this course as I was looking around for courses that focused on experimental music and working with sound. This course looked perfect for me, and when I went to an open day I realised it had everything i was looking for. I have been given so many opportunities to be creative, which is what i wanted. I have been able to do so much more than I imagined studying here so far, from learning how to use different studio set ups, Surround Sound, how to make atmospheric sound and Sound in Space. I am very excited with more boundaries I can push with my creativity! JG:I want to expand my portfolio more and create different styles of digital music. I am also looking for different artists from other courses that I could collaborate with, for either music purposes or sound design/art. I have also been very interested to visit the event: Splitting The Atom, as I know they do experimental music nights there which would been brilliant to experience. Listen to more sounds from Jade via her soundCloud. DMSA course leader and senior lecturer will be participating in this year’s Tuned City Messene 2018. The event asks questions about listening and politics and has invited 50 international artists to work with the site and produce original works in response to it. Tuned City’s previous milestones Berlin 2008, Tallinn 2011, and Brussels 2013 used to take place in central European metropolises. This year, Tuned City visits Ancient Messene May 31st – June 3rd and seeks out the exemplary ‘ideal city’, the ancient Greek polis. The archaeological site and active excavation with all it’s layers of history is the ideal place to reflect about ‘city as a construct‘ and explore the sensual aspects of space as well as social and political dimensions of the city. What do we project on a site like this? How do we trace and preserve history and how does this shape contemporary and future culture identities? What lays underneath and in between the monumentalized obvious findings? How can we decode sedimented memories? What is the difference between local and distant, past and present modes of memory? How can we access or activate different modes of perception? Listening seems passive, but it is an activity, a ‘silent production’, involving translation, decoding, abstraction, improvisation, the use of memory to recognize and connect elements from other things heard, subconscious filtering… The acoustic world surrounds us like the fabric of architecture in an urban city environment. Listening is a constant interaction. Under this particular contingency, sound suggests a form of negotiation, listening partakes action, and hearing is always more than a simple perceiving of sound by the ear. With a focus on hearing’s emplacement and the pronounced situatedness of listening, Tuned City explores the ways in which oscillations enact a sense of place that also senses us back. Sound artists, performers and researchers meet for two weeks in the ancient place to establish a dialogue between the ruins that once hosted a vibrant city to be inspired by it’s conception and history, traces and findings and the special atmosphere. Questioning it’s proper function, and the different definitions of what an ideal city was and should be, the works range from sound installations, walks, lectures, concerts and participatory events. 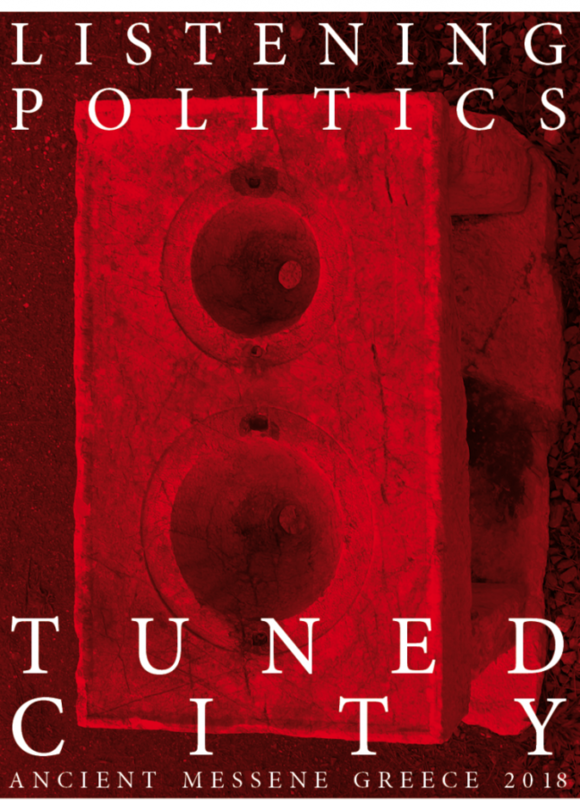 Tuned City is going to listen underneath the surface and in between the obvious findings. 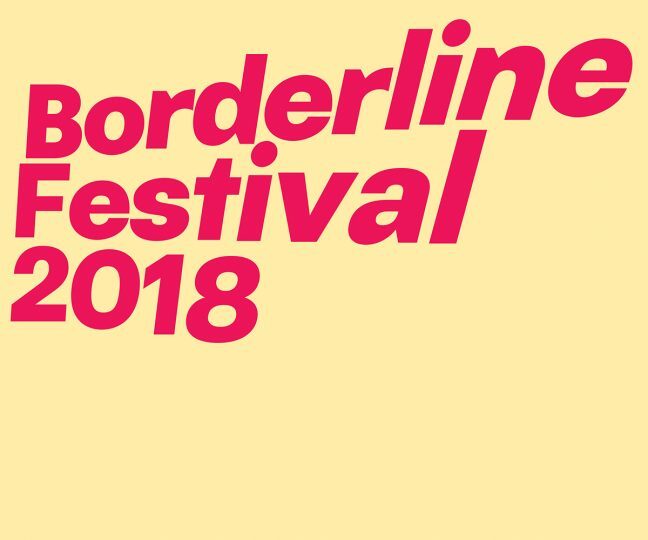 In a weekend long event, the ancient Greek city of Messene will be transformed in to a vast platform for artistic production and presentation, discussion and intermediation of sound art and music in public spaces through a variety of site specific formats in a direct interrelation with the local context and a vital exchange with a local and international audience. DMSA graduate Ben Hall was invited in Festival ZERO1 in La Rochelle, France to present ‘Threshold’, an audiovisual installation he created as part of his final degree project. ‘Threshold’ challenges the audience’s perception with a series of cross-sensory interactions between unusual sounds of frequencies on the threshold of human perception and computer generated visuals. 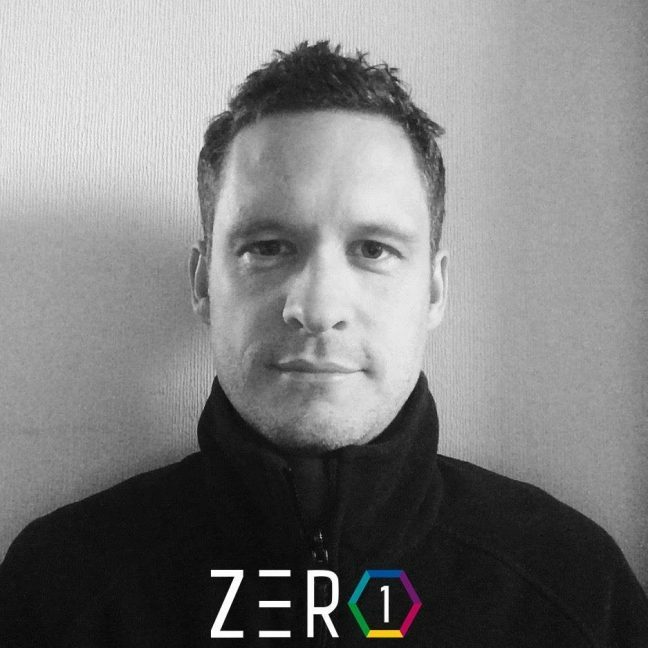 ZERO1 is an annual international festival in La Rochelle, France focusing on audiovisual digital arts. This year it takes place on 28/03-01/04. More info. No Hollows and No Projections: Part 2 is a workshop led by Ingrid Plum exploring composition for ensemble performance, deep listening exercises, sonic meditations, improvisation and extended vocal technique following the teachings of Pauline Oliveros and Meredith Monk as well as a wealth of techniques gathered from other teachers and traditions around the world. In Part 2 we will review some techniques and also look at compositional methods for working with listening and performance using the voice as our instrument, with a focus on ensemble performance. 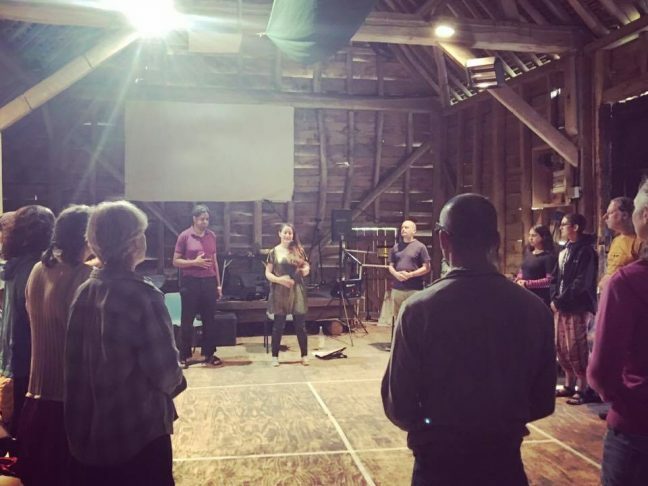 This workshop is suitable for all levels of experience and is best suited to those with an interest in contemporary composition, sounding the voice, sound art, experimental music and sonic meditation, but previous practice in those fields is not necessary. Learn a range of listening exercises to benefit production and performance skills along with breathing and vocal exercises with a focus on deep listening and harmony, involving discussion and working with the natural voice to develop confidence, plus compositional exercises for ensemble performance. 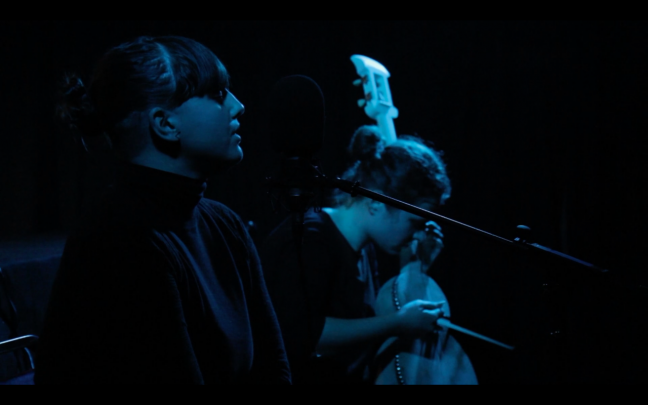 Plum uses her voice with extended technique, improvisation, field recordings and electronics, to create layered soundscapes, spoken word and songs. Having performed and exhibited installation sound art and visual art since 2002, and studied with Meredith Monk, she creates work that sits between sound art, improvisation, multi-media installation, neo-classical and contemporary Nordic folk music. Digital Music and Sound Arts doesn’t mean a men-only club: we support equal participation to the course by male and female artists and producers; an aim that is still difficult to achieve as female students often either choose more safe pathways or are not confident enough to choose a creative sound course. It needs to be said that some of our most exceptional work in this course has been created by female students and some of our notable alumni are female who hold competitive posts in the field. We want to make our students feel empowered through the course to explore their unique creative perspectives, to take risks, to feel inspired and to be self-driven. In celebration of International Womens Day, we would like to use this space to precent some of the work produced by our students and alumni which we feel give a well informed perspective of the breadth of creative outputs that the students have developed over the years. There are of course many notable student works missing from this feature and we hope to be able to bring it to the foreground in another occassion in the near future! We begin with Jade Gunner who is a student currently in her first year in the course. Jade’s ‘Watercolour Spaceship’ is a fascinating exploration of colour, texture and timbre reminiscent of expressionist painting. Merging music with dance as well as other forms of art and media is something that we encourage our students to do as part of their learning process. Aki Purser is a student currently in the third year of the course who has been developping an intersting and unique body of audiovisual work. Her piece I, Omega encapsulates the intensity of her work combining contemporary dance aesthetics, electronic collage and experimental visuals. Olivial Louvel, currently in her second year in our course, is exceptional in creating fascinating synapses Facross voice, computer music and digital narrative. 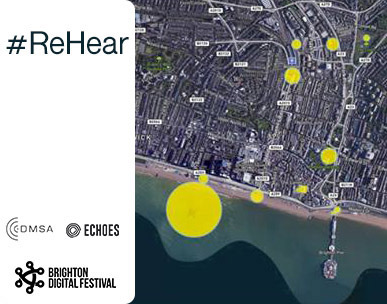 You can enjoy her work in situ at the Roayl Pavilion Gardens via the ReHear audiowalk. 'My Crown' by Olivia Louvel from Cat Werk Imprint on Vimeo. Rebecca Davis aka Ecka Mordecai is the artist behind our beautiful banner but also an alumni of the course. Ecka, currently a freelance artist, cellist and curator, has developed a subtle yet texturally layered palette of sounds, images, objects and actions while studying in the course. Sand:blink is a wonderful audiovisual experience into her unique world of microsounds and textures. Guoda Diržytė is an experimental music instruments designer, composer and sound artist living between the UK and Lithuania. A recent graduate from our course, Guoda received the Nagoya (Partner University, Japan) Award of Excellence for her excellent piece Kokon Dansetsu Ma [古今 伝説 間] which she developped during a residency in Nagoya. Beth Chesser is an artist experimenting with sound, noise and music and how they work combined with moving image and new media. ‘Enso’ is her final degree piece for our course, a beautifu stop motion animation film. Amanda Brooks is a musician, composer and sound artist currently in the second year of our course. 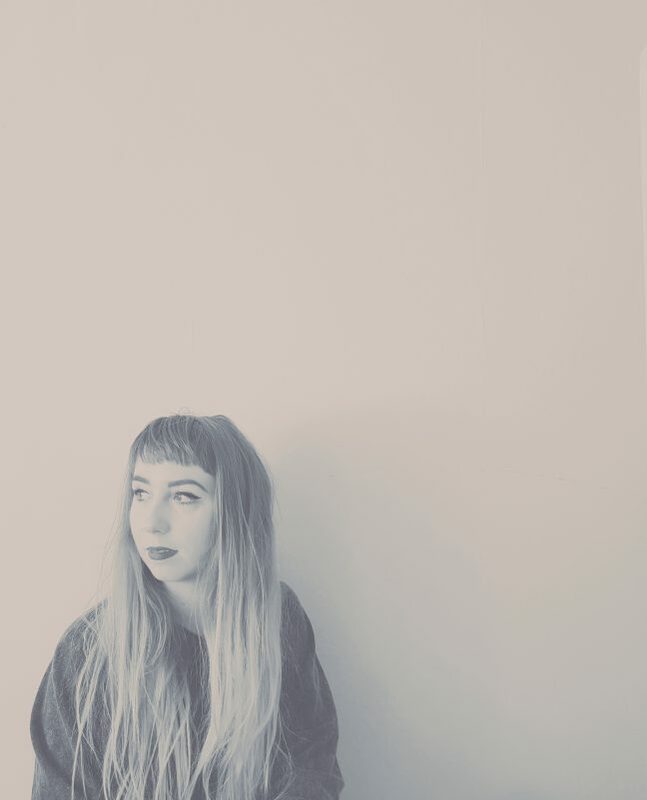 She is the lead singer of the band Undercover Agends and her work has been featured in Lewes Light Festival, ReHear Audio Walk (Brighton Digital Festival 2017) and more recently in a fantastic ‘Christmas’ compilation entitled ‘View from a hill’ by the eclectic label Linear Obsessional. Last week’s DMSA feature presented the work of currenty third year student Jasmyn Bloch. Jasmyn’s powerful mix of voice, femininity and electronics is beautifully demonstrated in her piece Alter, a celebration of the feminine and of women and a great way to end this feature!